Do you enjoy spending time at the beach but do not feel confident enough to go often because you are missing one or more teeth? Having visible gaps in your smile can make social interactions in public spaces stressful or embarrassing. Fortunately, dental implants in Naples can help restore both your smile and your confidence – even if you are missing more than a single tooth. Here is some helpful information on various dental implant treatments available that can help get you back to the beach and smiling widely! 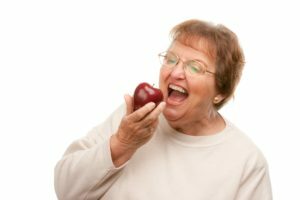 Should You Floss with Dental Implants in Naples? Here’s the Answer! 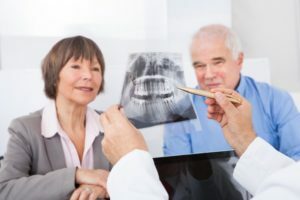 You have a new set of dental implants in Naples, but you have an important question you need answered: “How should I perform oral hygiene – should I be flossing?” As you continue reading, you’ll find out the answer to that question, and you’ll learn the right way to go about cleaning your teeth so your smile can remain just as healthy as it is aesthetically-pleasing! Comments Off on Should You Floss with Dental Implants in Naples? Here’s the Answer! 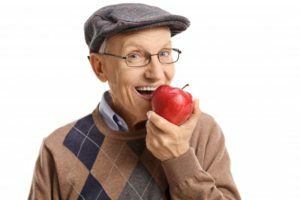 Do Dental Implants in Naples Feel Natural? Whether you have lost a tooth to decay, infection, or trauma, your quality of life was lost along with it. Now, you not only live with low self-esteem, but you also struggle to chew your favorite foods. You have tried conventional treatments to replace your missing tooth, like a bridge, but it did not feel natural. Now, you are wondering if dental implants in Naples will give you the results you want? A dental implant is the next best thing to your real tooth, so your new smile will feel natural. No matter if you are missing one tooth, several teeth, or an entire arch, dental implants can restore your smile. Comments Off on Do Dental Implants in Naples Feel Natural? Did you know that your tongue is the strongest muscle in your body? In fact, Thomas Blackthorne lifted a world record 24-pound, 3-oz weight with his tongue alone! However, just because your tongue is strong, doesn’t mean that it’s invincible. Many people notice that their tongue can turn white and textured on the surface. What does this mean and is there a way to prevent it? Keep reading to discover the answers from your dentist in Naples. 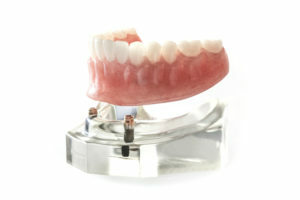 There’s No Need to Fear Dental Implants in Naples. Here’s Why. When you’ve been missing teeth, especially for a long period of time, it can be a life-changing event to have a dental implant placed. They’re long-lasting, durable, reliable and capable of performing all the tasks your natural tooth accomplished. But many people are hesitant about their use because they aren’t sure what to expect from treatment. Thankfully, dental implants in Naples have come a long way since their conception. To learn what to expect and why you don’t have to worry about feeling pain, keep reading. Comments Off on There’s No Need to Fear Dental Implants in Naples. Here’s Why. 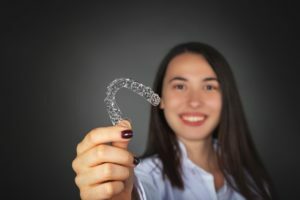 Will My Insurance Pay for Invisalign in Naples? Are you tired of living with crooked, misaligned teeth? You know Invisalign in Naples can give you the straight smile you want. Although you would like to improve the alignment of your teeth, you are concerned about the cost of the aligners. In most cases, your dental insurance cannot be used to help pay for the treatment because it is considered cosmetic dentistry. Do not let that deter you from investing in your confidence. You have various options to help pay for your new smile. Comments Off on Will My Insurance Pay for Invisalign in Naples? How Long Can You Expect Your Cosmetic Bonding In Naples To Last? If you’ve been researching the best way to get a beautiful smile, you’ve probably heard that veneers are a great option. While that’s certainly true, there are some cases where a faster and less expensive option will work just as well: cosmetic bonding in Naples. Usually done in just one visit, this procedure involves bonding white filling material to the front teeth to fix various cosmetic flaws. This is the same material that’s used to fill cavities on the back teeth, so it’s quite strong and durable. Having said that, it will also last much longer if it’s well maintained, just like all dental work. Keep reading to learn more about the benefits of this procedure and how you can maintain it over the long-term! Comments Off on How Long Can You Expect Your Cosmetic Bonding In Naples To Last? Let’s face it, you have a less than perfect smile. You live with several imperfections that cause you to feel insecure about your appearance. While you know your cosmetic dentist in Naples can give you the results you want, you do not want to spend money on something that is purely aesthetic. What if cosmetic dentistry could also improve the health of your teeth? It can! There are several elective treatments that will promote your oral health and your confidence. When it comes to over-the-counter whitening trays, they just can’t compare to the professional-grade products you’ll find in a dental office. KoR Whitening offers the same high-quality bleaching agents you’d get from in-office whitening treatments but within the comfort of your own home. With a full kit of syringes, gel and desensitizers, you don’t have to visit the dentist every time you need a touchup. To learn about the process of teeth whitening in Naples and helpful tips on keeping your smile white, keep reading! Your Cosmetic Dentist in Naples Says Porcelain Veneers to the Rescue! 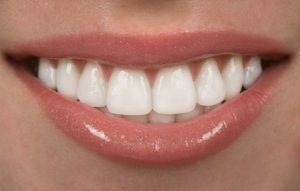 Studies show that one-third of the new people you meet will evaluate the appearance of your teeth before anything else. Thus, if you have smile flaws, they could have an impact on the type of first impression you make. One of the ways to get the smile of your dreams and be confident when you encounter people is with porcelain veneers. As you read on, your cosmetic dentist in Naples will help you determine if this is the best route for you. Comments Off on Your Cosmetic Dentist in Naples Says Porcelain Veneers to the Rescue!